Anyone traveling in Scandinavia this year will find a region that's investing productively in itself. 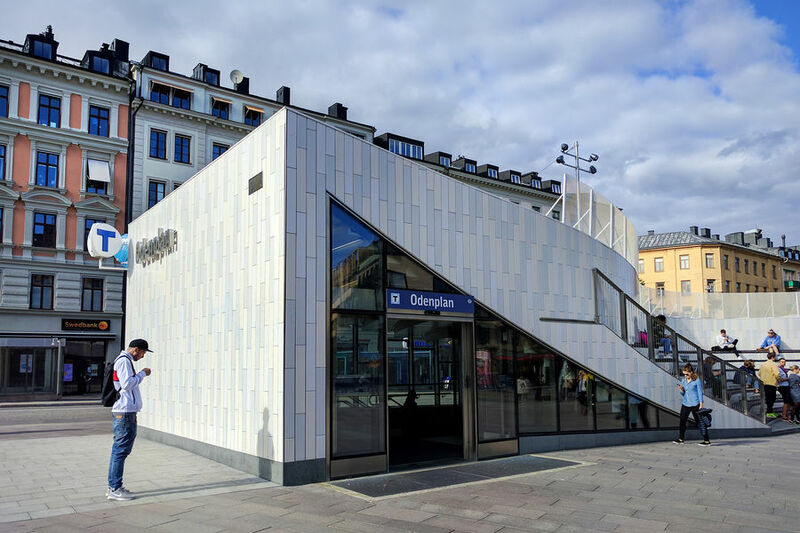 Numerous urban, cultural, and transit projects are underway, continuing the Scandinavian devotion to quality of life for residents and visitors alike. Here are some newsworthy notes to keep in mind as you travel in the region in 2018. Major construction is also ongoing in some of Denmark's other large cities. In Aarhus, a new light rail line opened at the very end of 2017. In Odense, the Hans Christian Andersen Museum is being completely rebuilt. While it won't reopen until 2020, in the meantime travelers can visit a temporary museum space, the home where Andersen was born, and his childhood home. Norway is also working on improvements to its transportation infrastructure. In Bergen, a tram now travels from the city center to the newly remodeled Flesland Airport. Oslo's outlying Moss Rygge Airport is closed; discount airlines now primarily use the even farther afield Sandefjord Airport Torp, 70 miles south of the city. And construction on the speedy X2000 train line from Oslo to Stockholm will likely interrupt service through 2020 — plan on either flying, or taking take a slower Intercity train instead. Sweden's museums continue to switch back and forth from charging admission to being free — it all depends upon which political party is in power. (As you might imagine, the left wingers want culture to be free for all, and the right wingers want to put a price on it.) As recent elections brought in a left-leaning majority, admission charges have been dropped (for now) at many of Stockholm's sights, including the Royal Armory, Museum of Medieval Stockholm, Museum of Modern Art, and Swedish History Museum. Several of Stockholm's top attractions are either closed for renovation or in the process of moving, including the Royal Armory (main exhibit halls closed in 2018), Royal Coin Cabinet (moving; closed until 2020), Stockholm City Museum (closed until 2019), Saluhall market (closed for renovation), and the National Museum of Fine Arts (reopening in late 2018). 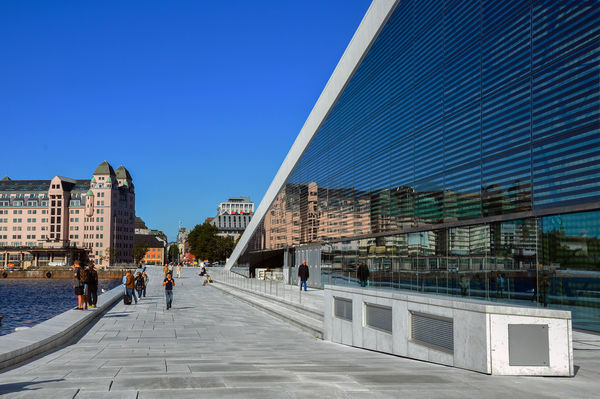 Stockholm's new Vikingaliv Museum (on the Djurgården waterfront) busts myths about the Vikings. Interactive displays present them as colonizers and traders more than looters and warriors — you won't find a horned helmet in the place. Southeast Sweden is Glass Country — the traditional home of the country's art-glass business. In the 1990s, many independent hotshops went out of business or were gobbled up by corporate conglomerates. But the region has regained its footing as a showcase for small glass producers, including several new boutique enterprises: the Orranäs Bruk glassworks in Orrefors (with an open-air hotshop) and the Glass Factory in Boda — part glass-art museum/showroom and part glassblowing hotshop. The town of Växjö, convenient to Glass Country, has also perked up, with good restaurants and a high-end hotel. Like its Scandinavian neighbors, Finland's capital city of Helsinki is undergoing major redevelopment work. Construction on the Hernesaari peninsula just outside the city center (where cruise ships dock) and the West Harbor terminals (with ferry service around the Baltic region) will add green spaces, a mix of residences, and recreational marinas to what is now a barren industrial zone. Visitors to Hernesaari can already get a taste of what's to come at the stylishly modern Löyly sauna, with water views and an indoor/outdoor restaurant. And Iceland continues to grow in popularity as one of Europe's trendiest destinations. It's getting help from its homegrown airline, which offers Americans heading for Europe great stopover incentives. Expect big crowds and book your rooms well in advance — especially if visiting in summer. The Nordic countries have a lot to offer, and those traveling with the latest information will have a truly rich experience.